Book with Rowlett VIP Limo today at 972-362-9449. Let us show you a great time. Why renting a limo is a good idea. Ride in style. Booking with us will guarantee you to be riding around in style for the entire time you are with us. We have some of the top fleet around town, and enough to fit everyone you are wanting to bring with you. Personal Chauffeur. Don't risk getting an angry driver with Uber or a regular ol' taxi company. 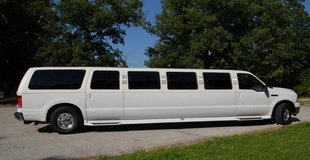 Each of our limo drivers will drive you around town and be sure to show you a great time. Don't worry about finding a ride back home, hire us and we will take care of you. No worries. Rowlett VIP Limo wants you to enjoy yourself. Don't worry about how many drinks you've had, or how you are going to get home. Enjoy the night and know you will be making it home safely and surely with every trip you take with us. Let's get you booked up today. Call us at 972-362-9449 or fill out a free quote form!